Detroit pride was on full display as Detroit Love (#313DLove) trended worldwide on Twitter (cool recap by the Free Press), but it wasn’t all Slows BBQ and Faygo or American Coney and Vernor’s. DLove may have been trending on Twitter, but it was Detroit’s pain and problems that made the headlines on the pages of the Detroit News and FreePress. The same day that people around the world saw the love for the great things Detroit has produced and continues to offer, Michigan Governor Rick Snyder unveiled his proposed plan to bring the Motor City back to solvency. It was a unique display of contrasts between how much Detroit has to offer and how far it has to go. Detroit can’t even escape its problems and pain on a day where all of the great things Detroit has produced were celebrated on display for the whole world. The problems for Detroit are serious. It is near bankruptcy and running out of cash fast. It has a history of corruption and mismanagement that has exacerbated the problem and shown that the city is unable to correct these problems on its own. Detroit’s inability to correct its own problems is why Governor Snyder presented his Consent Agreement yesterday to the City Council to appoint a Financial Advisory Board to help bring the city back to solvency. Detroit Mayor Dave Bing criticized Governor Snyder and the plan publically yesterday, but it has been long too clear that it has been the failure of the Detroit city governance to come to the table and make concessions that has lead to this consent agreement, and failing that, the impending appointment of an emergency manager. “They can set their egos aside and become partners in the rescue of an iconic American city by forging a consent agreement that would give an outside review board sweeping powers over Detroit's finances, contracts and management structure for several years. Detroit has to distance itself from the “us vs. them” mentality to outsiders from the suburbs and around the state that has been too prevalent over recent decades. It must embrace the pride and reject the hubris. It was all on display yesterday. 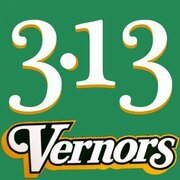 #313DLove does not trend worldwide without lots of Detroit outside of Detroit joining in and sharing their love and pride of the Motor City. The state of Michigan needs a strong and vibrant Detroit. Detroit is the economic and cultural heart of Michigan. There was no way to miss it on Twitter yesterday. It is the Motor City, home to the American automotive industry that has driven much of Michigan and America for the past hundred years in Ford’s, Chrysler’s, and Chevy’s. It has provided soul through MoTown records and the music of Aretha Franklin, Bob Seger, and Eminem. The whole state (well, except the UP Packers nation) is passionate and proud of the Pistons, Lions, Red Wings, and Tigers. Michigan loves Detroit. It needs Detroit. And now Detroit must accept that it needs Michigan and the leadership, ideas, help, and funds from Lansing and elsewhere to continue to drive the state well into the next century. It’s that love and passion that was on display yesterday on Twitter that provides hope for Detroit. People know how important Detroit has been to Michigan and our lives and how important it is to the state’s future. That pride and passion has helped drive much of the emerging optimism, entrepreneurship, and creativity currently underway in Detroit. It is also what will drive the efforts to prevent Detroit from collapsing upon itself and prompt the changes necessary for it to continue to be that source of pride. That is the goal of Governor Snyder’s consent agreement, to work toward a Detroit that is safe and solvent so that it can regain prosperity. It is tough for Detroit to accept because it means a loss of self-governing powers and principles, but it those in power have placed themselves in this position by mismanaging their responsibilities. It is clear that an outside authority is necessary to make the tough and political unpopular decisions to make changes to a corrupt and failing system, but that’s what it’s come to and what the city needs. There is economic optimism in Detroit with the rebound of the automotive industry, a burgeoning tech industry, a great airport and sports stadiums, and the announcement of the opening of the first US Patent Office outside of the Washington D.C. beltway. A solvent and responsible city governance is essential to maintain that positive trajectory and I hope that city officials choose to work with the state to make it happen.